If you're wondering, "Should dogs be allowed on the bed?" you are likely tempted to let your dog enjoy the luxury of sleeping on a comfortable bed with you, but perhaps you're concerned about potential problems that may pop up along the way. Maybe you're worried about hygiene, have some health concerns, or perhaps you may have heard stories about dogs becoming aggressive once allowed on the bed. You certainly don't want your good dog to turn into Cujo! There is really no clear-cut answer to the general question of "Should dogs be allowed on the bed?" because whether it's a good choice or not, it ultimately depends to a great extent on individual factors such as your health, your standards of hygiene, and your dog's behavior history and temperament. Health and hygiene concerns associated with letting dogs sleep on beds are something to consider. Humans need to be concerned about zoonoses, that is, conditions that are transmitted from animals to humans. These conditions are not necessarily associated with dogs sleeping on the bed, but close interactions can increase the chances for disease transmission. Fortunately, these risks are low if you own a healthy dog that undergoes regular wellness exams and parasite prevention treatment. According to Emerging Infectious Diseases, an open-access, peer-reviewed journal published by the Centers for Disease Control and Prevention, sleeping with a pet may lead to risks for several zoonoses, especially in young children or immunocompromised people. In these cases, the practice of sharing the bed and/or regularly kissing a pet should be discouraged. The practice of sleeping with dogs, being licked by them, and kissing them, may expose people to pathogens that are commonly found in the mouth of dogs such as Pasteurella spp., Capnocytophaga canimorsus, and Staphylococcus intermedius. Parasites are also a concern when sharing the bed. 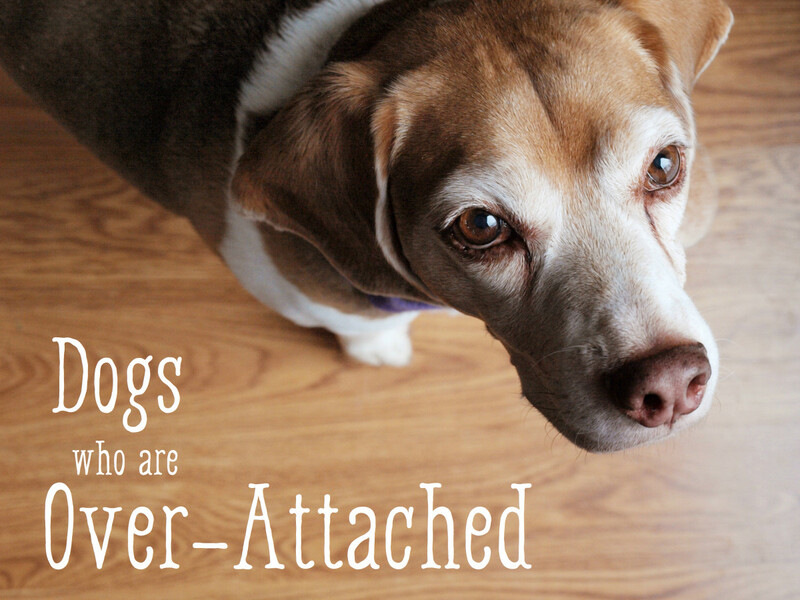 Dogs can get several ectoparasites such as fleas and ticks. These parasites can be carriers of diseases (fleas have been known to cause plague and ticks act as vectors for tick-borne diseases such as Lyme, Borrelia, Rocky Mountain spotted fever and babesiosis). Intestinal parasites such as roundworms in dogs (Toxocara canis) can lead to a zoonotic infection called toxocariasis. Transmission occurs through contact with embryonated eggs attached to a dog’s hair coat. Roundworm infections, though rare, have been known to cause blindness and occur in children who don't wash their hands often. On top of transmissible diseases, dog owners suffering from allergies or asthma should be concerned about their conditions potentially worsening, and should not allow dogs on the bed or in the bedroom. Sleeping with a dog may also interfere with catching some zzzs. Certain dogs predisposed to excessive licking, annoying lip smacking, and scratching may not make great bed partners unless you are heavy sleeper and can sleep through all those movements and sounds or are willing to invest in a white noise machine. 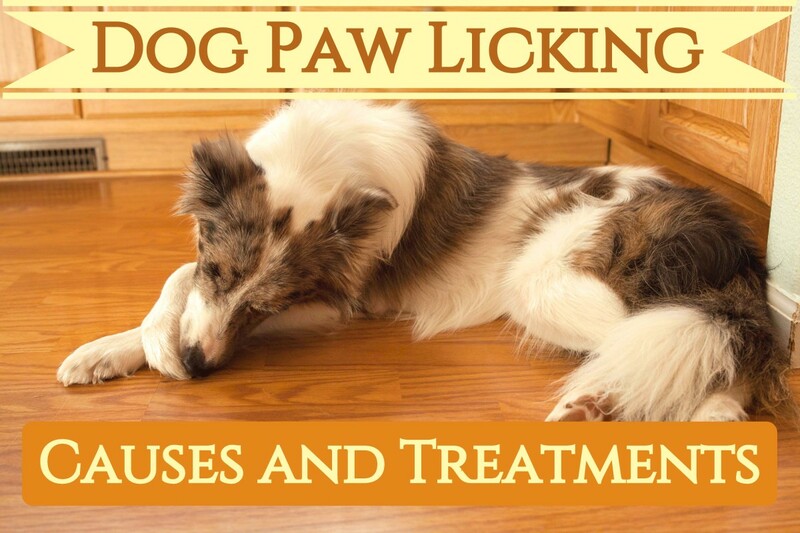 Worthy of mentioning is that excessive licking, lip smacking, and scratching can be due to stress, nausea, or allergies, so a vet visit is warranted if your dogs engages in these activities. Puppies with little bladder control or older dogs with weak bladder sphincters, are also not great candidates for sleeping on beds (unless you don't mind waking up to insidious leaks!). On a lighter note, gassy dogs can have you opening all windows in the dead of the winter or trigger bad dreams. And then you have hygiene issues. 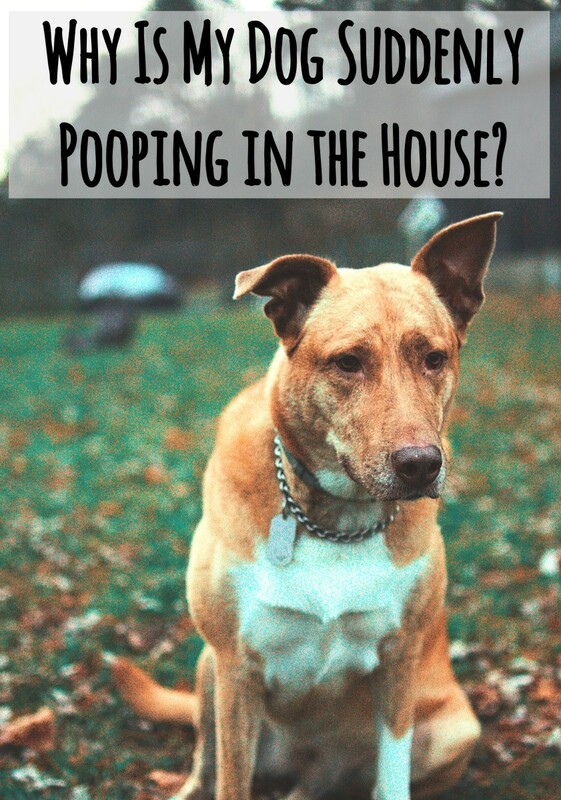 Unless your dog is bathed often and kept indoors all the time, there are chances your dog may roll in all sorts of disgusting things such as mud, cow feces, and rabbit poop. If the above health risks have discouraged you from sleeping with your dog, consider that there are also some benefits to reap when sharing the bed with Fido. While it's true that some dogs may keep owners awake with their night-time licking or scratching, some dog owners report several perks associated with sharing the bed that can make them actually fall asleep faster. Many dog owners claim that they feel safer and protected when sharing their bed with their dogs. Perhaps this is because dogs are more likely to detect unusual noises and this put owners more at ease. Some dog owners feel much more relaxed when sharing their bed. They claim that their dog's rhythmic breathing helps lull them into a super-relaxed state which works better than a cup of chamomile tea. On top of that, the warmth of a dog's body can work like a hot-water bottle, keeping owners warm and toasty and making them more likely to fall asleep. However, while these benefits seem to suggest a higher likeliness to fall asleep, it appears that when dog owners invite dogs to share the bed, their quality of sleep may be compromised. According to a study, adults who snuggled with their dogs in bed sacrificed quality sleep. Things seemed better though when owners were sharing the same bedroom with their furry pals rather than the actual bed- something to consider. Most people assume having pets in the bedroom is a disruption. We found that many people actually find comfort and a sense of security from sleeping with their pets. Does Sleeping on the Bed Make Dogs Dominant? You may have heard in the past some dog trainers making claims that letting a dog sleep on the bed will turn your dog into the "alpha" and that it will give rise to a plethora of issues with dominance being the most concerning. The belief may stem from the outdated credence that dogs who are placed on high furniture, such as beds or couches, feel as if they are in control of the world (courtesy of the height advantage) and this puts humans on the lower end of the rank. Trainers who adhere to these views are often those who believe in the old dominance theory, which is based on outdated wolf studies (Shenkel's studies on wolves in captivity) that have long since been discredited over the years courtesy of more recent research (David Mech's studies on wolves in a natural habitat). On top of this, the Associations of Professional Dog Trainers Position Statement on dominance reminds us that dogs are not wolves, and that the practice of comparing dogs to wolves is ultimately comparable to relying on chimpanzee behavior to explain human behavior. On top of being outdated, adherence to dominance theory has led to the belief that dog owners must “show the dog who’s boss” and engage in physical corrections to correct or prevent "dominance displays"and these often involve alpha rolls, scruff shakes which risk paving the path to an adversarial relationship. 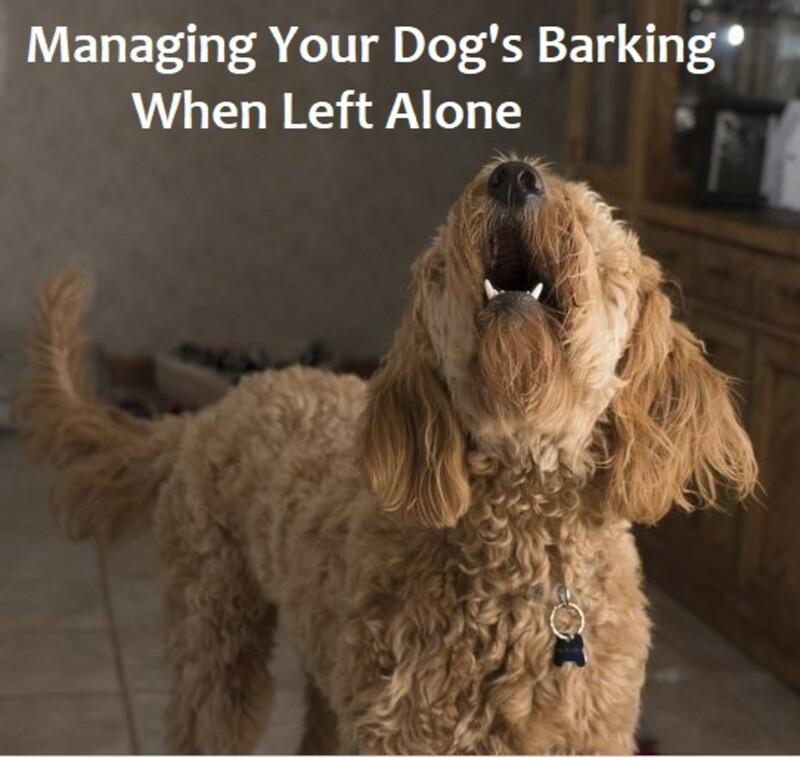 Studies have shown that such practices often lead to potential fear, anxiety and /or aggressive behaviors from the dog. Our study demonstrated that many confrontational training methods, whether staring down dogs, striking them or intimidating them with physical manipulation does little to correct improper behavior and can elicit aggressive responses. If Not Dominance, Why Are Dogs so Drawn to Beds? 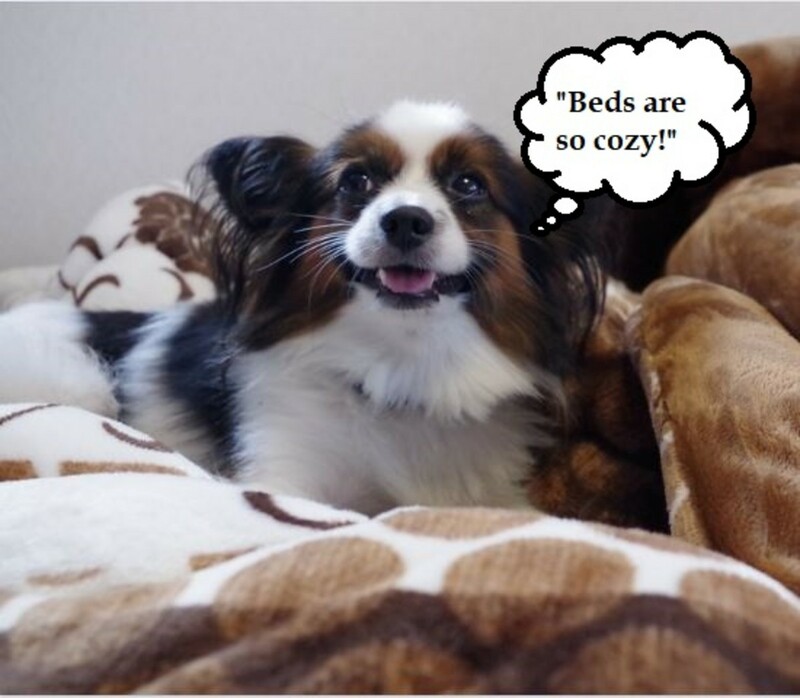 Why Are Dogs so Drawn to Beds? It turns out that dogs behave the way they do not out of a desire to be "alpha," but just because those behaviors provide them with some form of reinforcement in some way. For example, dogs who jump on people are not doing so to attain rank, but just because they can get closer, say hello, and perhaps get some attention. Dogs who pull on the leash are not doing so because they want to be in charge of the walk, but just because it's reinforcing to sniff things and explore. All these dogs have in common the fact that they just haven't been given the opportunity to learn better manners. When it comes to beds and couches, dogs who want to sleep on them do so, not because they have a desire to attain higher rank, but simply because they are comfy and it allows them to be closer to their family. Many dogs also enjoy being in bed or on the couch with their owners because that's when they are often pet and given attention. Caution is needed here though if you have a dog with a tendency to be pushy. Pushy dogs aren't dominant dogs, they just happen to be dogs whose behaviors have been (often inadvertently) reinforced by their owners and have gotten out of hand. These dogs are quick to learn to bark, nudge hands, engage in pawing behaviors, and get into peoples' faces for just a little bit of attention. It's easy for these dogs to subsequently jump on the bed and engage in pushy behaviors. These dogs need to simply learn better manners and respect a "that's enough" cue before allowing them the privilege of being invited on the bed and doling them out oodles of attention. "There is no scientifically validated data to uphold the belief that you must eat before your dog, or keep them from sleeping on your bed, or walking in front of you, and owners should not be led to believe this and live in a state of fear and anxiety over their dog’s possible takeover of their home. 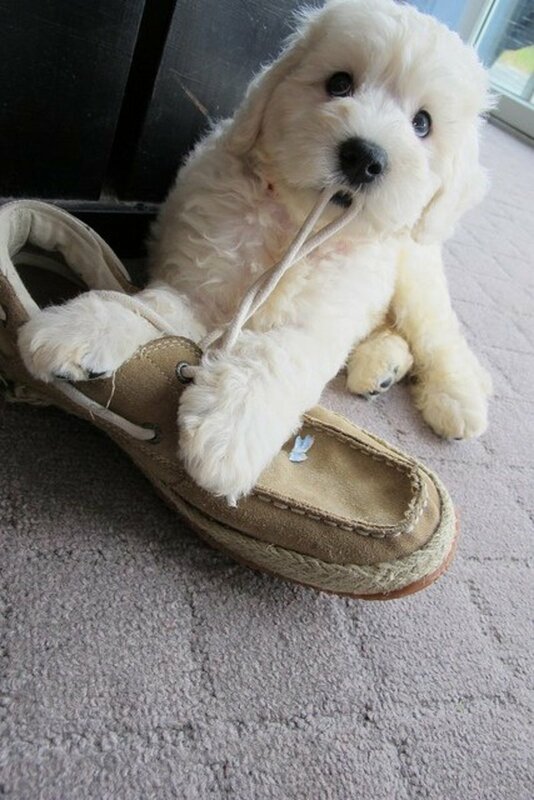 These dogs therefore bark, growl and show their pearly white when they are laying on the bed or couch. These are distance-increasing behaviors meant to send the person away. But why do these dogs not want people or other dogs near the couch or bed? Let's face it, dogs and humans are in a vulnerable situation during sleep. A sleeping place is ultimately a place where people and animals go to when they are in need of restorative sleep. Sleep plays a vital role in health and wellbeing and, therefore, these places are valuable and should be as stress- free as possible. Dogs who are protective of sleeping areas are not wanting to be "alpha," but are simply dogs who are not comfortable and have trust issues with certain people coming near them when they are in place where they feel safe. These dogs often need to learn to trust and relax when around the people they are guarding against. 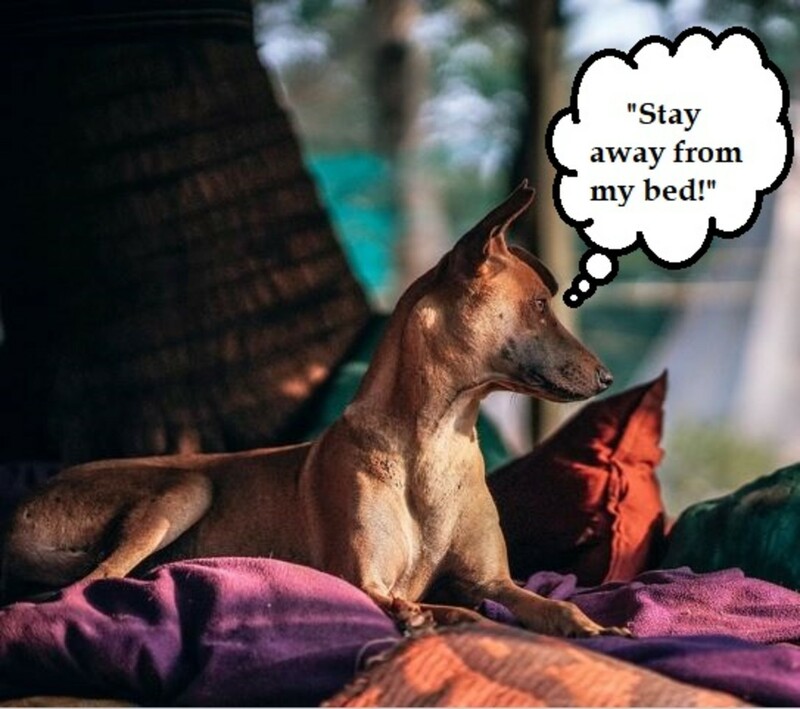 Worthy of pointing out is also the fact that some dogs may not resource guard the bed per se, but may turn snappy when they are touched or pushed off the bed (or any other surface) for various reasons (they are touch intolerant or are reactive when startled during sleep or just prior to sleep). Cases as such require an “off the bed” policy until the bed or couch guarding behavior can be modified (if feasible) with the help of a dog behavior professional using humane behavior modification techniques. Seeking the aid of a professional is important for correct implementation of behavior modification also considering that, when working with dogs with behavior problems, there are substantial risks of getting bitten. Dogs with separation anxiety should be taught to sleep on their own beds. Many dog owners wonder whether allowing a dog to sleep on the bed can cause them to develop separation anxiety. Typically this does not happen in a well-adjusted dog, although this is a good question because it's easy to fall into the chicken-or-egg causality dilemma: did the dog develop separation anxiety because he slept in the bed or did the owner allow the dog in the bed because he was already suffering from a dysfunctional attachment? As a general rule of thumb, I don't encourage owners of dogs who have separation anxiety or who may appear to be close to developing a dysfunctional attachment, to have their dog share the bed with them. The reason is simple: we want these dogs to develop as much independence as possible. In order to treat separation anxiety, it's important to teach dogs how to self-sooth and spend time calmly alone. A good portion of a good separation-anxiety treatment plan encompasses teaching affected dogs to remain calm behind a baby gate or sleep calmly in a crate or on a mat at a distance from the owner or in a selected confinement area. The goal is to get these dogs to learn that being away from their owners can be a positive experience. 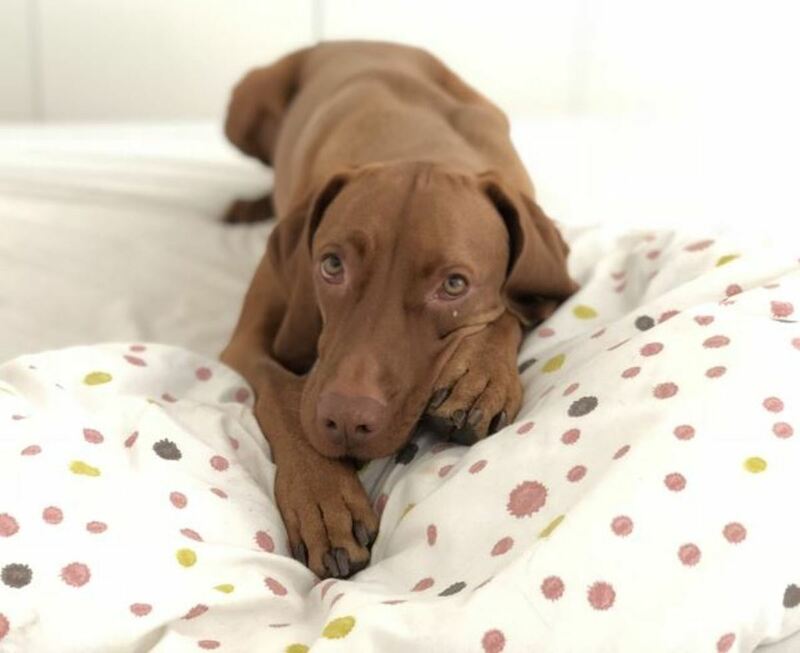 While it’s true that sleeping in the owner’s bed won’t cause separation anxiety, if your dog already suffers from the issue, all of that nighttime closeness won’t help. 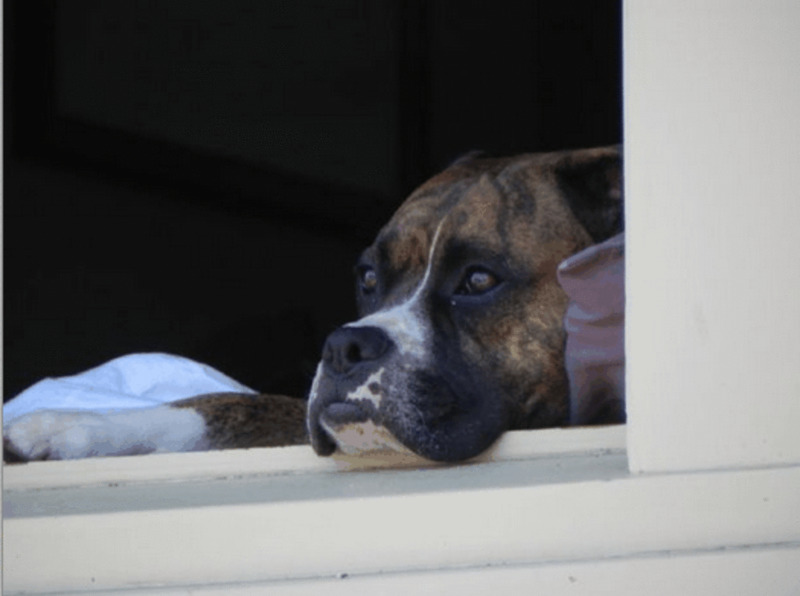 After all, the goal is for your dog to learn to feel relaxed when alone, and if he can’t even be physically separated from you overnight, how can he remain calm by himself during the day when you’re gone? So should dogs be allowed in bed? The short answer is that it depends. First off, it's your personal choice. If your dog doesn't have tendencies to guard or act aggressive in any way and you can train a solid "off" cue to get him off the bed when needed, there should be no issue in inviting him to sleep in bed and lounge on couches. In a well-adjusted, well-behaved dogs not suffering from separation anxiety, sleeping on the bed should not lead to any particular problems. Regardless of what you choose, keep in mind that once you allow your dog in bed, he'll expect to be there all the time. This can be a problem that day your dog suffers an injury where climbing on and off the bed. Dogs thrive on consistency and don't do well with gray areas, so you'll need to pick a policy to adhere to otherwise you'll have a hard time if you allow him sometimes yes and sometimes no. 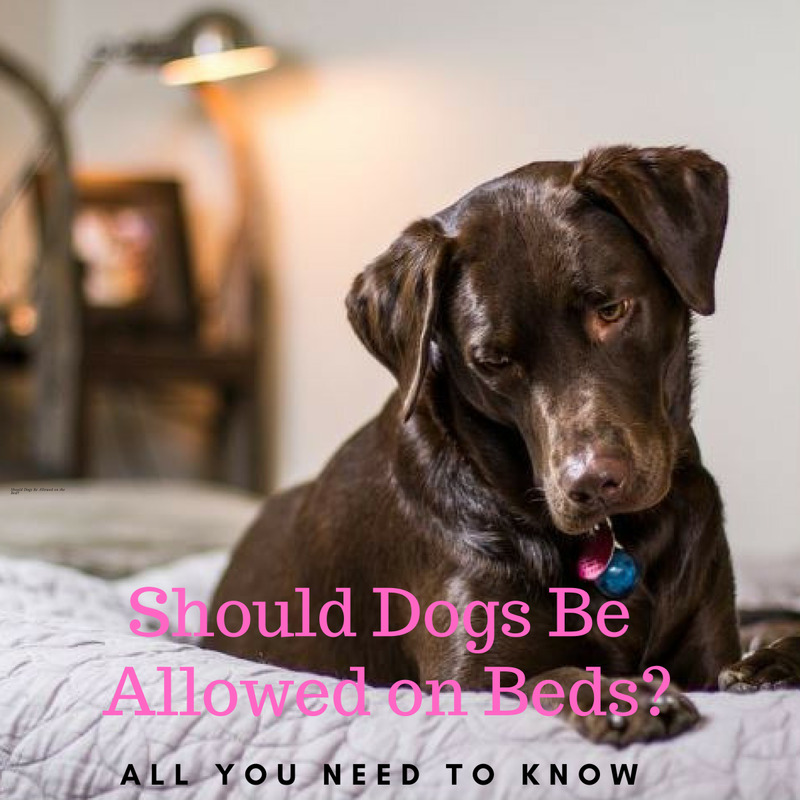 Of course, you can always change rules if need be, but it can be a headache until you train your dog that beds are now off limits and condition him to sleep in an entirely new spot. Mayo Clinic. "Are you barking up the wrong tree by sleeping with your dog?." ScienceDaily. ScienceDaily, 7 September 2017. University of Pennsylvania. "If You're Aggressive, Your Dog Will Be Too, Says Veterinary Study." ScienceDaily. ScienceDaily, 18 February 2009. 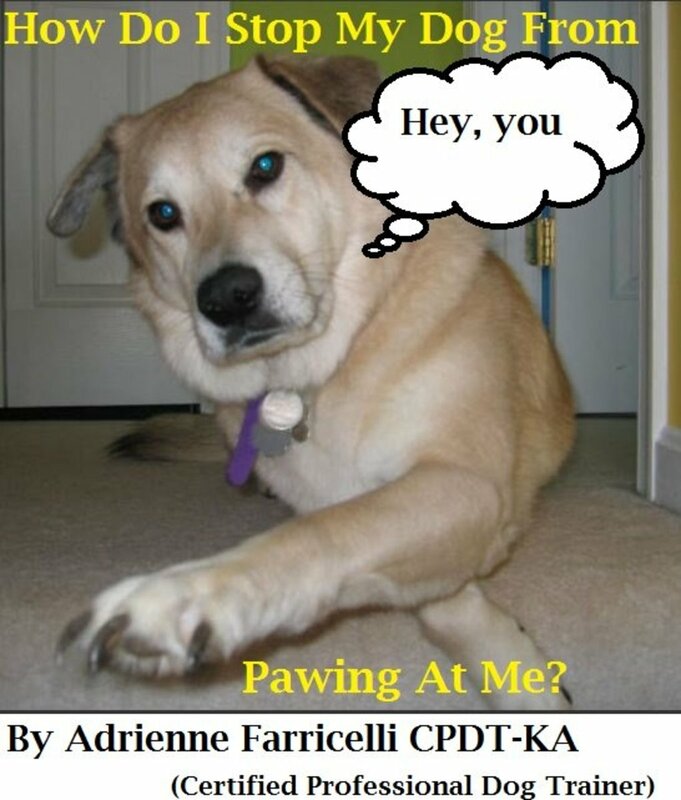 How Can I Stop My Dog From Pawing at Me? The rule of thumb we consider is whether the dog knows he being on the bed is not permitted unless we say its ok. A good example of this is that I allowed my Border Collie Jack to sleep on the bed with me but my daughter won't permit it, She's a hot sleeper and she's a light sleeper, so there is more to it than respect. But in the day she often invites him up on the bed. Jack was taught as a pup that he was only allowed on the bed, couch or any furniture when invited. Consequently, there's never been a problem and everyone is happy. I enjoyed reading this article. My wife and I will dog-sit for friends when they are out of town. In one house, the dogs sleep in their room set up for them in the house, and they're fine with it. In another home, two small dogs sleep on the bed, but they're well trained. They get up on the bed, go to a spot and sleep there all night. In another home it is absolute chaos. Put them in their crate they howl, let them on the bed they won't leave you alone. The owners said to just put them in a part of the house set up for them. You have to ignore the sounds all night, but we do get some sleep. Yeah, all dogs are different, just like their owners. Good article. A well balanced article. Actually, I don't have a dog; nevertheless, I have always been curious to know why people allow dogs in their beds. I can see why it would be a comfort to have them nearby. I babysat a dog once who was used to sleeping on the bed. It was basically implied that the dog should not sleep alone---and that he needed to sleep with me!. He was a small poodle, but I kind of hated having him near me in bed. He hogged the whole thing. Lol. I'll probably stick to cats, or maybe one cat. You can shoo them off the bed easily. Ha! Good read, gives plenty of information to consider. Dogs are like people, they have personalities, different traits from one another. And like people they are family (pack) orientated, some need closeness and attention, others are fine with their own sleeping space. Really it depends on the relationship between the two (or more) personalities. Most of our past dogs slept with us and we all did well. Our cats only occasionally joined us. I enjoyed reading the pros and cons of allowing dogs in beds, sofas, etc. You lay out the issues beautifully. From purely religious point of view, we can't allow the dog to be on the same bed as ours. There are health, as well as general hygiene related issues as well. According to Susan Orleans (from her book tilted 'Rin Tin Tin - The Life and the Legend), even keeping the dogs inside our homes is a phenomena that can be traced back to the Great Depressions. When farmers and villagers could not make both ends meet they moved to the town and the city to find jobs. Their pets followed them. Not having enough space, they had to be brought in. Otherwise dogs and cats belonged outside. I'm with Vee! (Victoria) My 3 fur babies curl up in their special spots every night with Mama! We comfort one another & I love the sound of them purring as they fall off to sleep. "Bruce" is my Mama's Boy and he insists upon being close enough to me to rest a paw on my arm. Heidi, I am finding myself saying "it depends" more and more on many doggy subjects. I guess it's just part of realizing more and more how many facets can be behind dog behavior that there is never a clear-cut answer. Thanks for stopping by, have a great rest of the week too! Hi Victoria, sounds like a great pajama party! Your pets are so lucky! 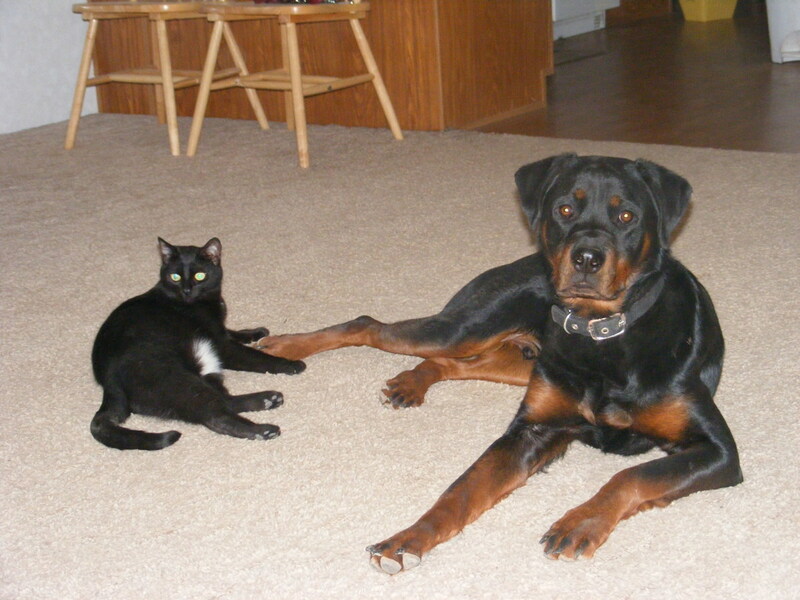 I wished I could have fit my two Rottweilers in bed with me, but that would have left me no space. Adrienne! Great job on thoroughly examining all the pros and cons. With me, it's never been a question. I regularly have two little dogs and four or five cats in the bed with me. I think it's comforting to both them and me. To each our own, huh? Nice, well written article! "It depends" is a good way to describe this situation. We've had dogs who want to sleep with us, and others would rather be off the bed. One of our current dogs does both. Doesn't seem to be any rhyme or reason why he does sometimes and other times not. So as long as he's not causing a ton of disruption, I don't care if he wants to be with us. Our other dog hasn't even tried it. Not sure if that was trained prior to living with us, or just doesn't want to. I did have one dog who would race to get my spot. But that's been rare with our dogs. What I have found is that between the two current dogs, they had to figure out who wanted which dog bed! That took weeks. Now they seem to have settled on who goes where. Good topic, as always. Have a great week!